Last year for my husband's birthday, he and three dear friends decided to combine their birthdays into one massive celebration. Also included in this party was an all day, sweaty game of kickball and of course...cupcakes. 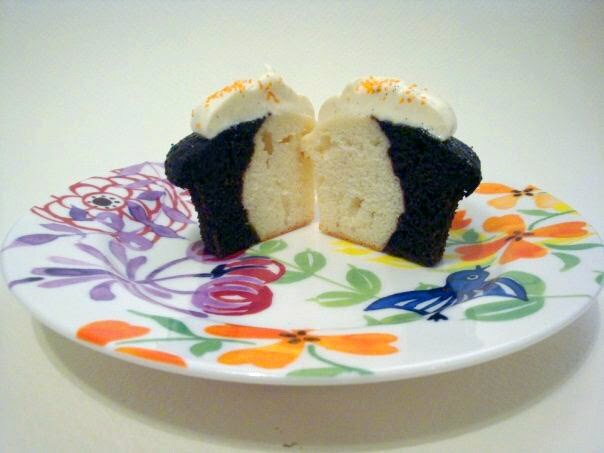 The Black and White Cupcake with Vanilla Bean Cream Cheese Frosting.